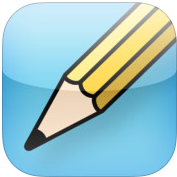 IdeaStorm is a nice simple free iPad app for brainstorming/mind mapping. A user can use an abundance of drawing tools to sketch, draw, and paint their ideas on a canvas. They can also save their sketches into stacks for future use. I recommend checking out IdeaStorm by clicking here. For my Pinterest board on Brainstorming/Mind mapping click here.